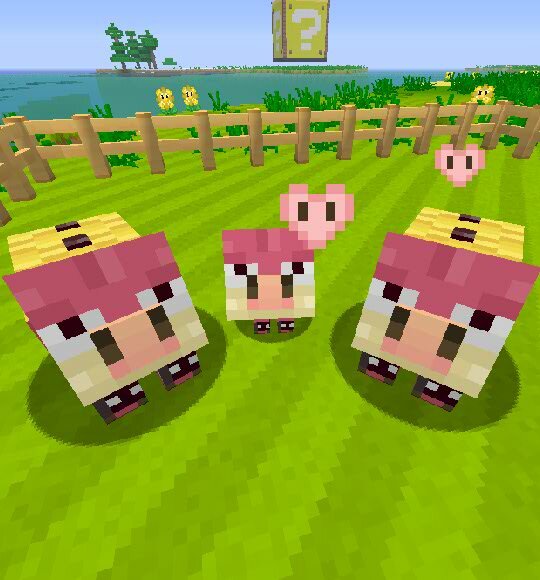 The developers behind Minecraft: Wii U Edition teamed up with Nintendo earlier this year to bring special Mario content to the game. 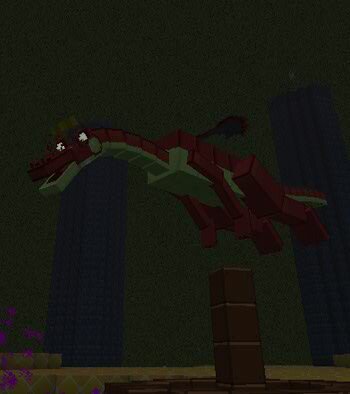 Fans have since found unused content from images included in the files, showing different skins that were originally going to be used. Hooktail (from Paper Mario: The Thousand-Year Door) was as least considered as the Ender Dragon instead of Gobblegut. 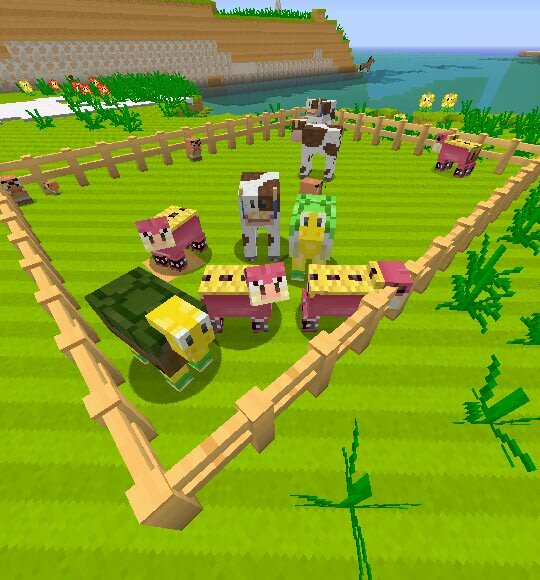 Also shown is Midbus as the Pigs and Yoshi as the Horses. 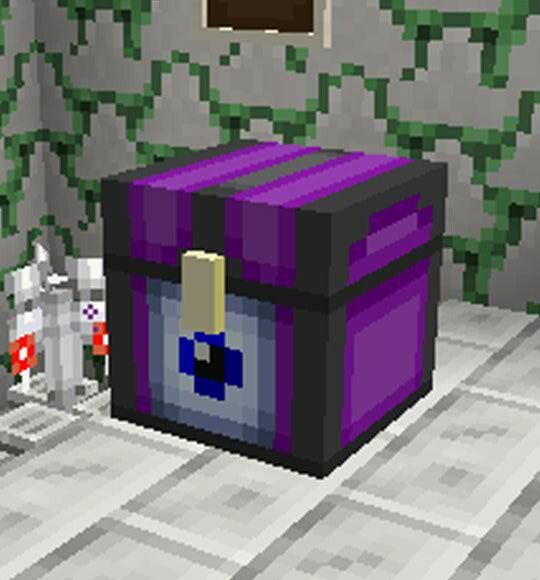 Lastly, we’re able to see the Ender Chest with a Mr. I-themed design instead of the Shy Guy-themed design it has in the final release. 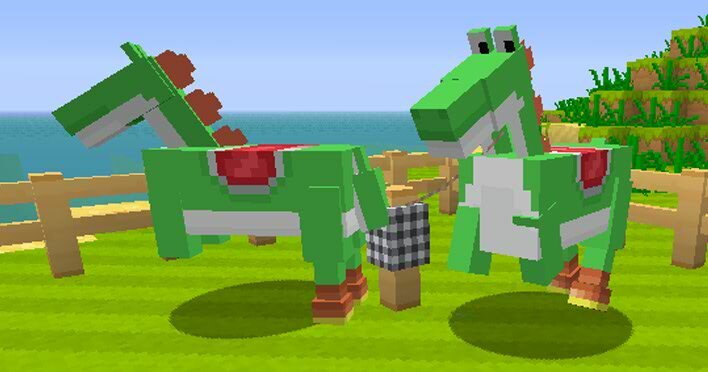 It’s worth noting that the screenshot with the Yoshi horses was used in the “Horses” section of the “How to Play” menu, before the patch which added the Battle Mini Game.